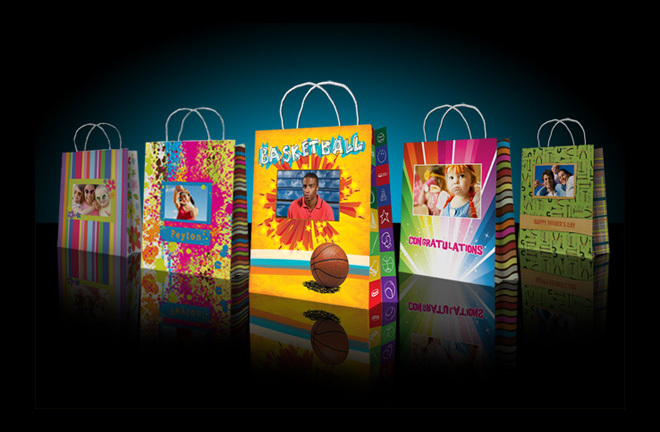 Picture Gift Bags enables consumers and businesses alike to place photos, graphics, or logos on uniquely customized gift bags. Billions of bags are sold each year, and Picture Gift Bags let you create your one-of-a-kind product to accommodate your gift: while sharing memories with friends, family and loved ones. This first-of-its-kind product is the perfect compliment to your existing business. Picture Gift Bags come in over 1,000 designs. Each design is available in 4 sizes. The product is sure to fit any gift given to celebrate a special occasion, holiday, religious celebration, or business requirement.